The description for Jonah 1 says, “Jonah flees the Presence of the Lord”. Why is this the first kicker? It seems a bit harsh, to some degree, to jump right to that. However, Jesus always got to the heart of the matter. He asked the questions that mattered, not the ones people wanted to hear. My pastor recently stated, “If you aren’t going where Jesus is going, then you are not following Him.” Ugh. Punch to the gut. In the last year, I’ve known that the music industry is where God is directing me to go, but I haven’t wanted it. It was my Ninevah. I have a really hard time going where I don’t see how it would be beneficial. “I’m just me, there’s nothing I can do that will make an impact on the music industry”, this is where my head and heart were at. Honestly, that’s true. There is nothing that I can do in my own power to change or reach the music industry. However, I’m not going alone. He is leading me and preparing the way. Looking back on this past year, He has been teaching me to recognize when He is in the midst of a situation. As I have learned this, I have become more aware to His presence in this opportunity. I won’t even try to sugar coat it, this year has been tough. Not bad, just tough. I’ve grown a lot, and “growing pains” is a phrase for a reason. I’ve been stretched and challenged in my thoughts, beliefs, and actions. In order to put in something new, you have to get rid of the old. The old has held me down for quite some time, but I’ve been letting go. As I let go, God keeps speaking identity and vision into where there was once only fear and doubt. It’s a process. I’m not perfect, but I’m being perfected. I am the book and He is the author bringing me from glory to glory. 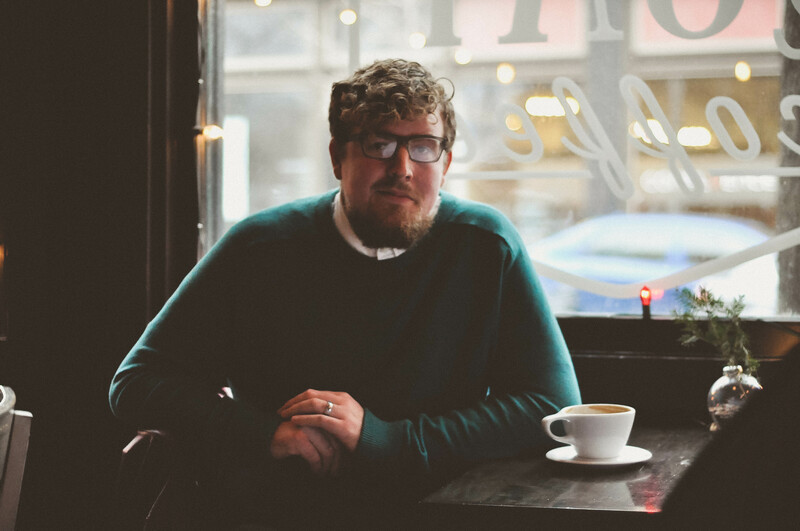 God gave me a few words to speak over a few friends recently. I never knew they were intended for me as much as they were for them. This was one of them. “God has proven His faithfulness over and over again, anchoring our faith in Him. 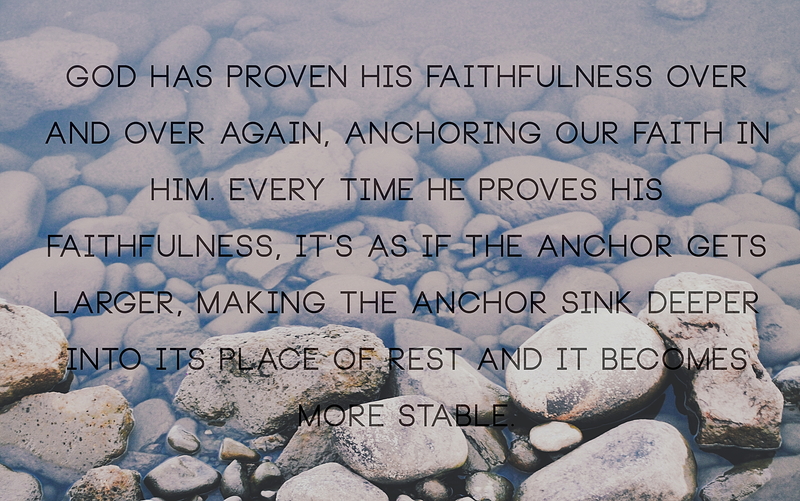 Every time He proves His faithfulness, it’s as if the anchor gets larger, making the anchor sink deeper into its place of rest and it becomes more stable.” He has revealed His faithfulness to me more than ever recently, to prepare me. I don’t know what’s in this, but if He’s asking me to walk it out, I’ll go. My eyes may be full of tears and my heart full of questions, but I’ll go, because I know where my hope lies and that He is faithful. As I have started to follow where He leads with the making of this first album, it has brought me on so many adventures. Most recently, while I was recording in Eisley’s studio in Tyler, TX (***WHAT?! Yeah, God is hysterical), God showed me the why behind the what. He showed me the purpose of me going into the music industry; to minister to those who don’t know Jesus and to edify those who do. Divine appointments popped up left and right, and I realized these were the moments He was calling me to. This short trip changed my heart more than I could have ever anticipated. It shifted my heart and mind to His, because, once again, He proved Himself faithful. As I’ve accepted where He wants to go, I’ve had more joy than I have had in a long while. Even as I look to the future and know that some major transitions are coming in my life, I know who He is. A friend spoke over me recently, “I see God with you, like a thundercloud. Where you go, the power of God follows.” Wherever God is calling you, you are not alone. The power of God is going with you and has already gone before you. Be not afraid. I want to be in His Presence but I can’t if I won’t go where He leads, so, I’m no longer fleeing Ninevah. I’m running to it; to be ever near to Him. Where is your Ninevah and what is keeping you from it? God is bigger than your fear. Just remember, with the obedience of Jonah, God spared and rescued an entire city. Follow where He leads. ***Eisley has been a band I’ve loved since I was 15. The opportunity was ridiculous and super humbling. If I have given God my life, I want Him to have something fantastic to work with. I want Him to have the best of me. If God has given me talents, I should seek to multiply them and not hide them in the dirt. If there is a comment that fits my struggle right now, it is THAT comment. I’ve been thinking over my life as I am applying for jobs, and I realize that I have done a lot of random things. However, if you asked me what I am expert in, I would have to say, “Nothing.” I also realize that I don’t like that, at all. So this next year, I am taking advantage of the amazing opportunity I have to find my voice in the careers I have chosen. I will be on staff at a church and working with outreach and discipleship. I have done this for the past few years in Ecuador, but have so much more to learn and discover, especially in doing this apart from my team. I am also working on finishing and publishing my book. I am getting my name out to the world and building my audience. And I am figuring out how to not only start a photography business, but also grow exponentially in my skills as a photographer. On top of another full-time job (hopefully), is that enough for a year? I don’t want to be a Jack of all trades for the rest of my life; I want to work hard to be good at these three things that I really do love. So here is the point I want to make: there is nothing wrong with ambition. In fact, it is a very godly concept. If I have given God my life, I want Him to have something fantastic to work with. I want Him to have the best of me. If God has given me talents, I should seek to multiply them and not hide them in the dirt (sound familiar?) If God has asked me to write and be a woman of great influence, there is nothing holy about living small. In fact, Hebrews says that we as people of faith are not a people who shrink back. We are called to be bold and courageous. We are called to be excellent at what we do. So here is my question for you (and it is a challenge and conviction to me too): what has God called you to be excellent in? Are you giving it your all?